I am so excited to have received this wonderful review from Kirkus for The Girl He Used to Know. “Living alone for the last 10 years has pushed Annika Rose, a woman on the autism spectrum, toward independence. Yet bumping into Jonathan Hoffman, her college sweetheart, in the frozen food section of their local grocery store sparks hope for something more. Following a vicious bullying incident in seventh grade, Annika had been homeschooled, so college life challenged her. Luckily, just as she was about to throw in the towel and head back home, her compassionate roommate, Janice, took Annika under her wing, helping her to better read and respond to social cues. It was Janice who took Annika to her first chess club meeting, a place that became sacred to Annika. With the chess board in front of her, Annika could enter a space of clear rules and no confusing emotions, and it was at chess club that Annika and Jonathan first met. After she trounced him in their first game, Jonathan was smitten by the beautiful yet terribly shy Annika. Over the course of their senior year, Jonathan and Annika’s romance built from tentative touches into a passionate affair that crashed shortly after Jonathan took a job in New York. Now divorced and skittish, can Jonathan open his heart to Annika’s love again? Or will the mystery behind their breakup keep them apart? Telling the story primarily from Annika’s perspective, Graves (On the Island, 2012, etc.) mirrors Annika’s own logical, concrete thought patterns with straightforward sentence structure and minimal description. Careful to balance the emotional and intellectual power between Annika and Jonathan, Graves creates a believable love affair in which Annika is not infantilized but rather fully realized as simply different. And her differences become her strengths when catastrophe strikes, compelling Annika to take the lead for the first time in her life. 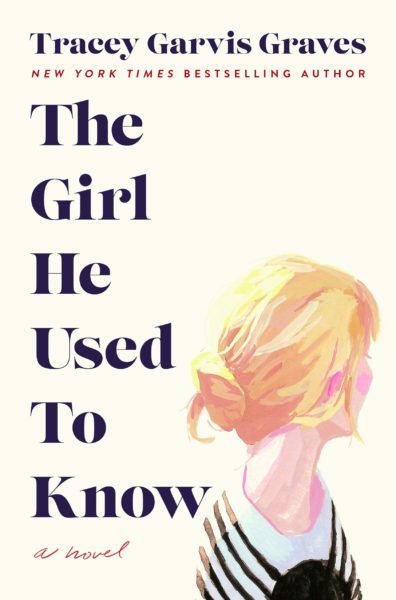 The Girl He Used to Know will be published on 4/2/19. Have you pre-ordered your copy? previous post: The Girl He Used to Know Pre-Order Giveaway! next post: Come See Me!